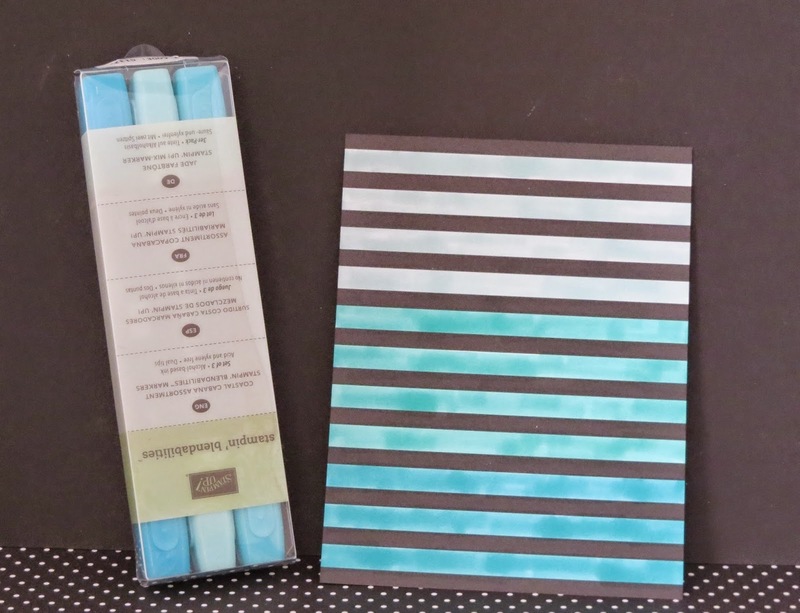 Karina's Kreations: Stampin'up Balloon Bash Leadership Case! Stampin'up Balloon Bash Leadership Case! I went to a Stampin'Up event called Leadership in January and saw some really cute cards!!! This was one of the card they showed which features an Ombre technique. 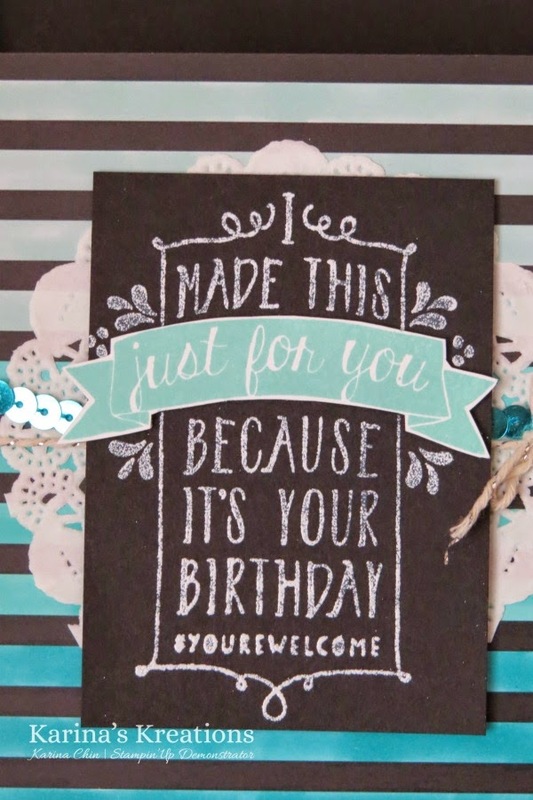 To make this card you need some Stampin'Up Blendabilities markers. You can buy them or earn them for Free when you place a $60.00 order. I used Costal Cabana Blendabilities on this card. You'll also need paper from the Stacked with Love Designer Series Paper Stack. Even though Valentine's Day is over, the backside of all these papers are black and white. To do this technique, color in the white lines with your blendabilities. So easy!! !